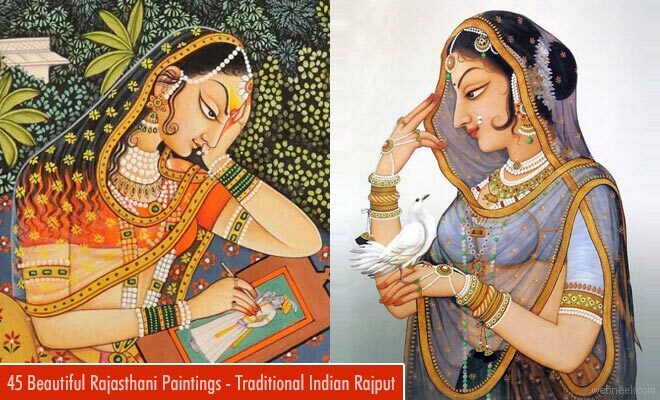 Rajasthani paintings: Radhe Krishna paintings are quite prominent in Rajasthani paintings. 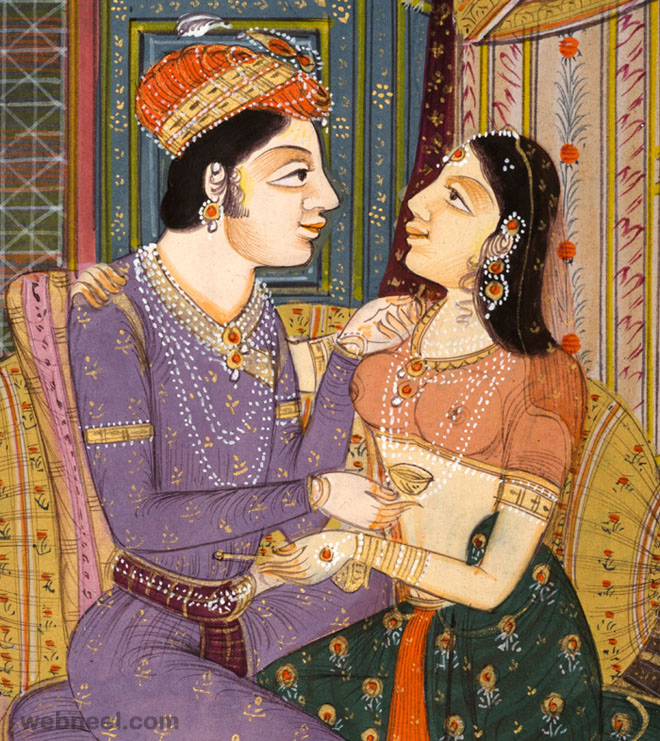 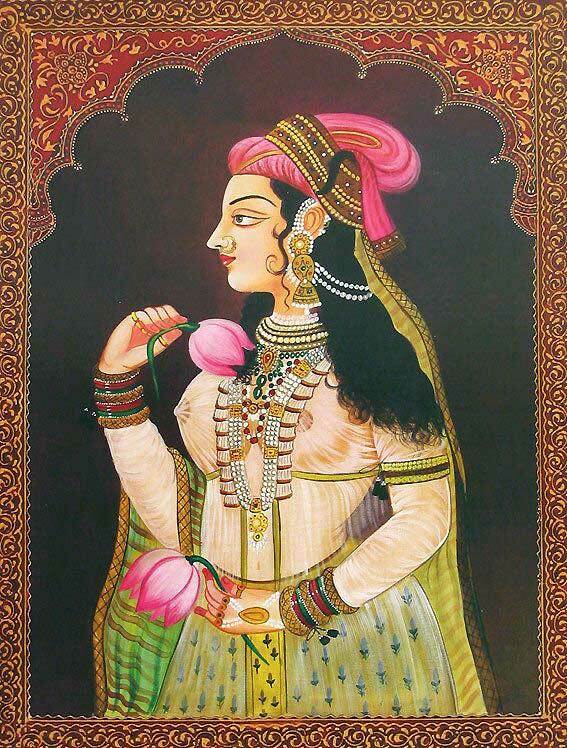 Rajasthani paintings started around 16th - 19th century in western India. 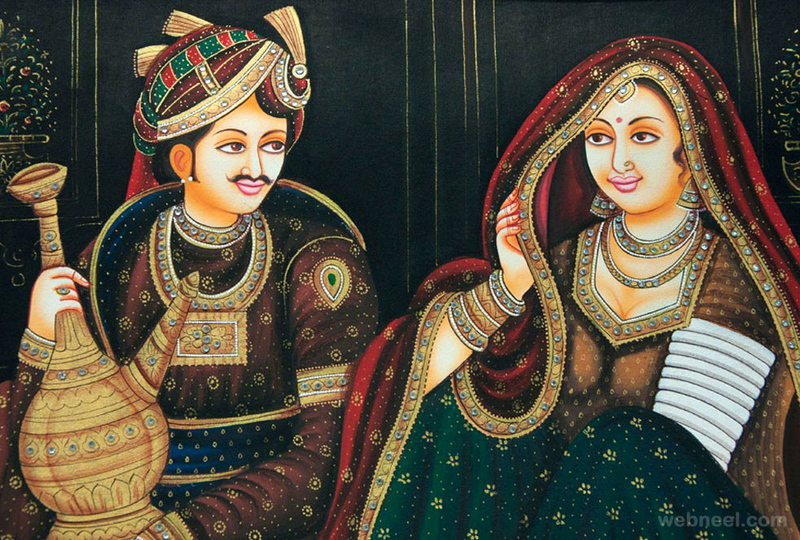 Ever wondered how the Rajput kings and queens looked like and what cutlery they used during their elaborate dining? 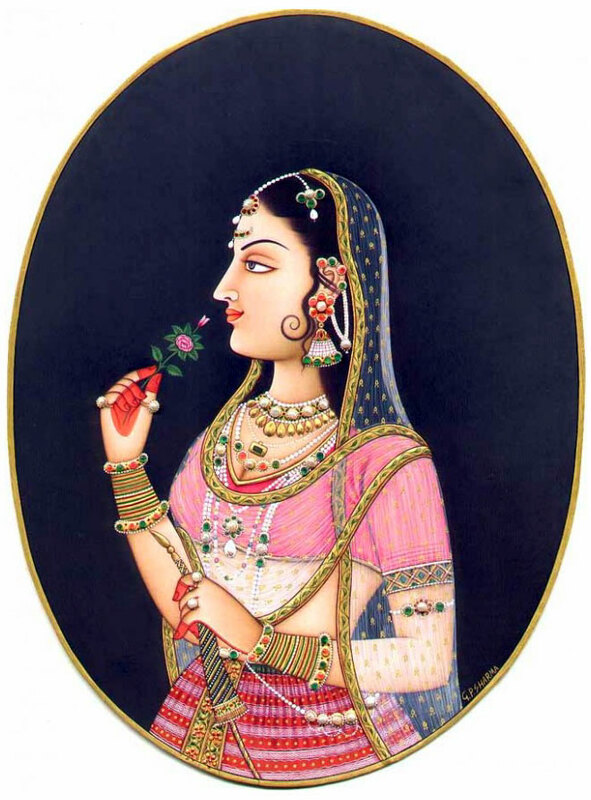 Rajasthan paintings are also known as rajput paintings and they are quite famous for the miniature paintings. 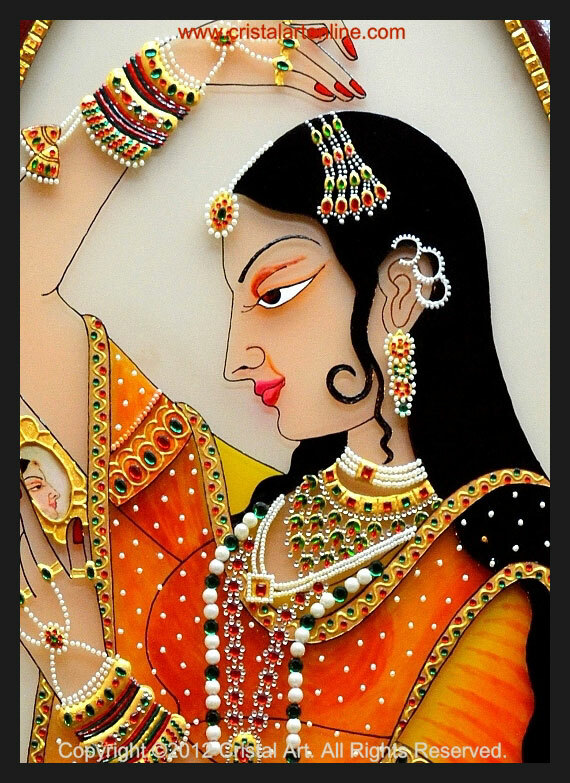 The bani-thani paintings/ ragini made of plywood and vegetable colour is quite popular worldwide. 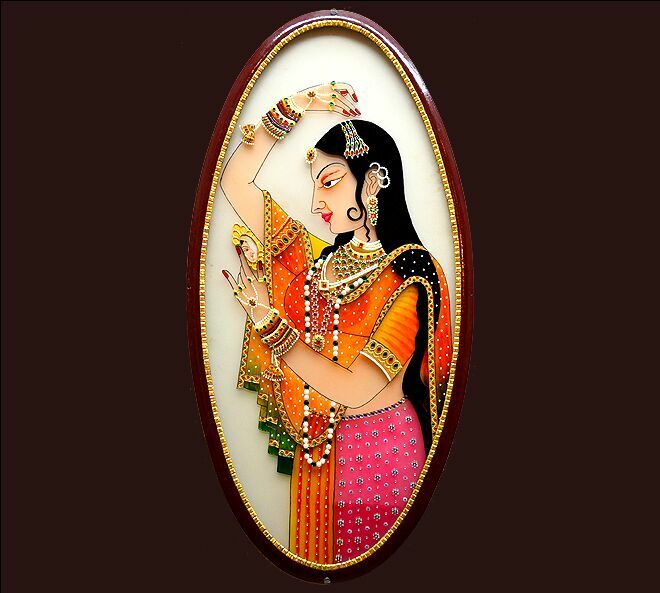 The Bhani-thani paintings are created with attractive emboss work at the border using fabric pearl colors & water proof solution of Papier Mache for the antique look. 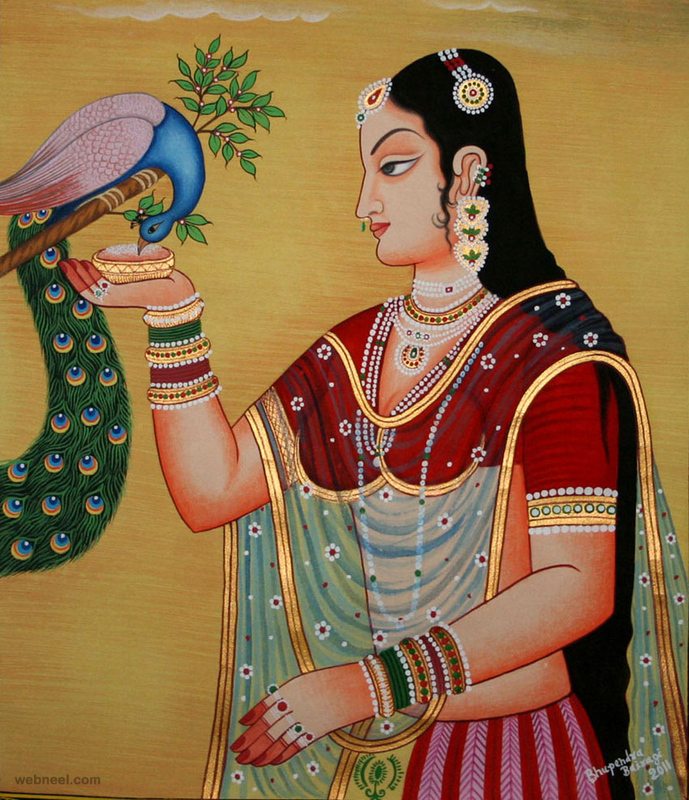 Rajasthani paintings tell us a lot of tales from the epics " The Ramayana" and "Mahabharata". 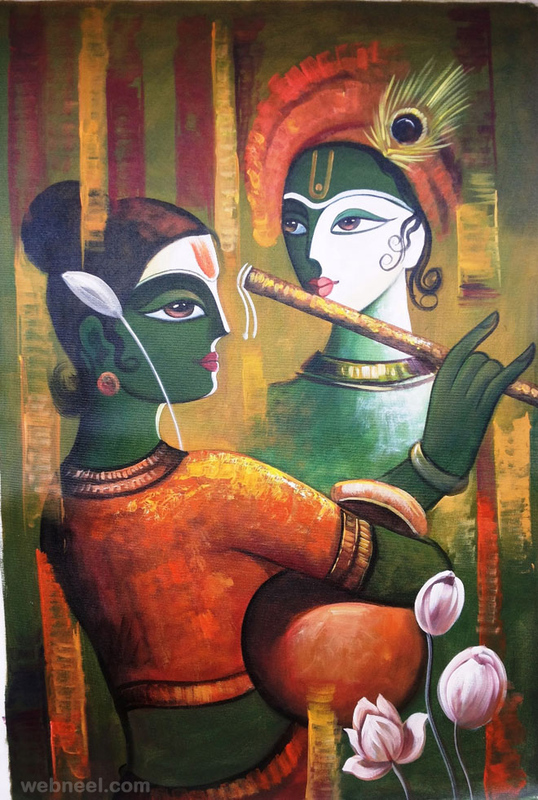 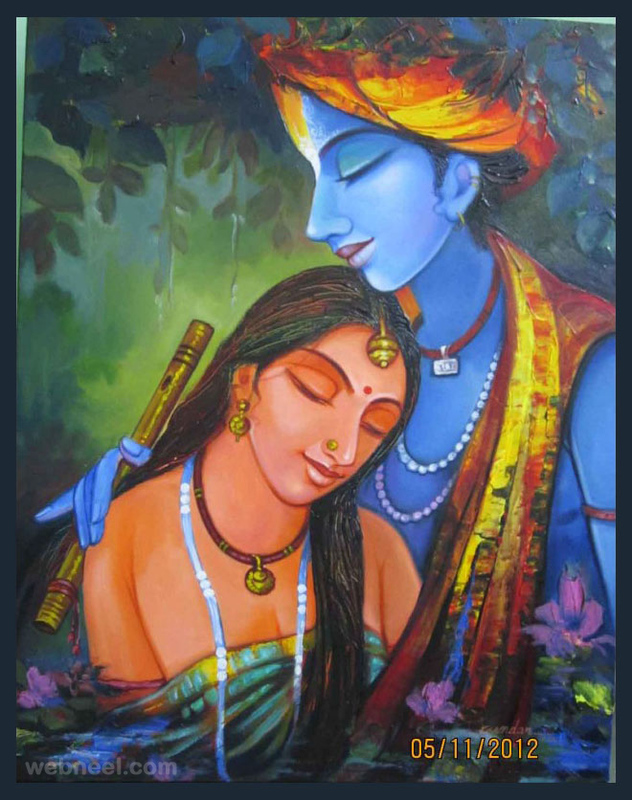 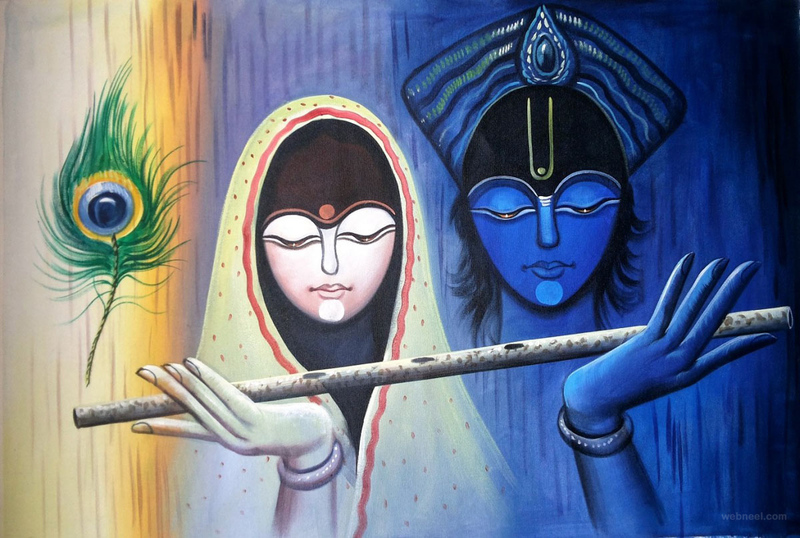 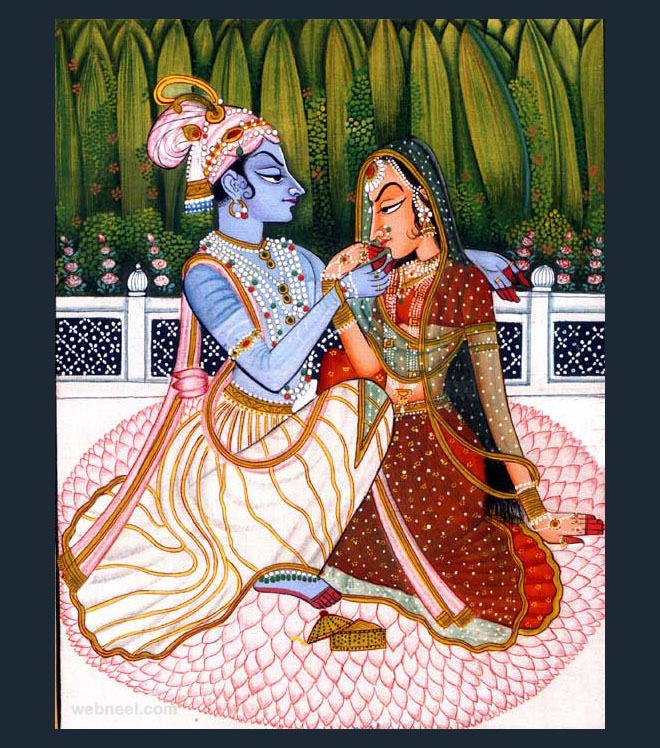 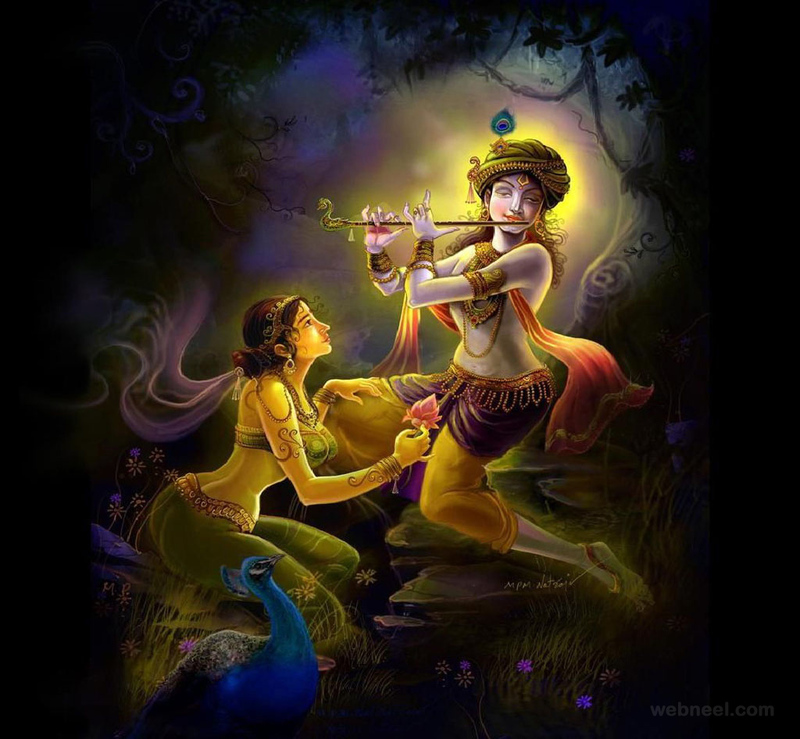 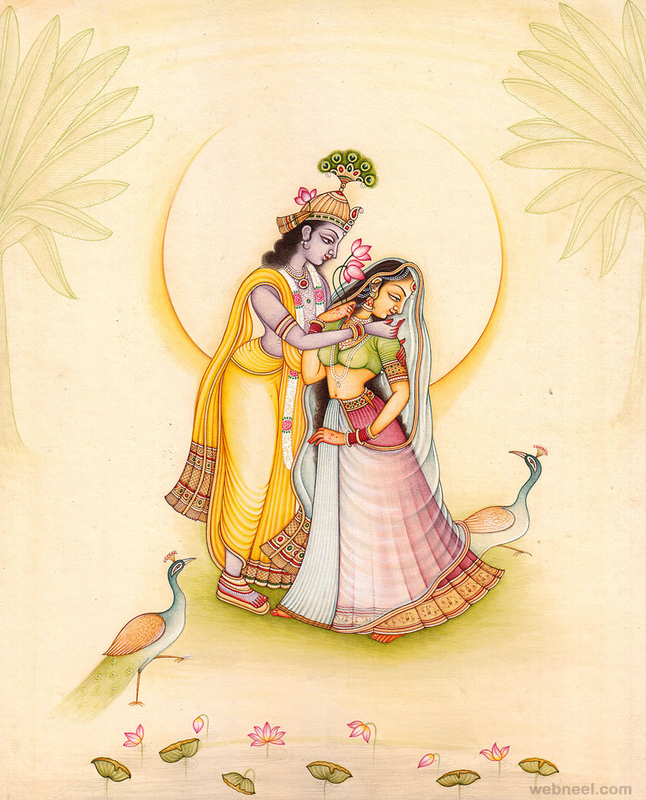 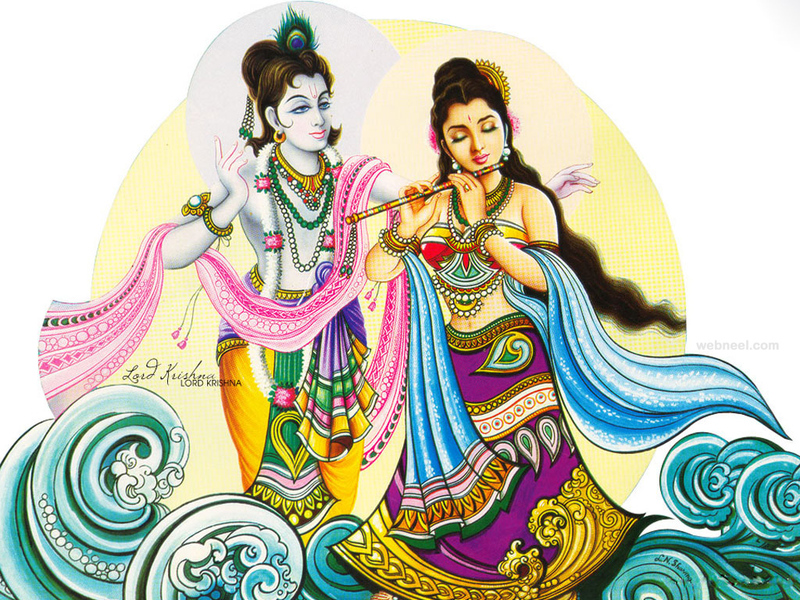 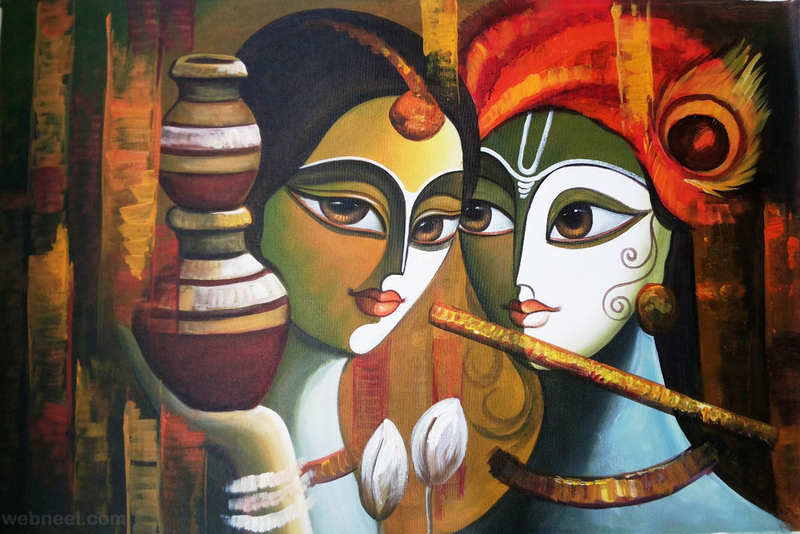 Stories of love and affection of Radhe Krishna are shown in a number of paintings. 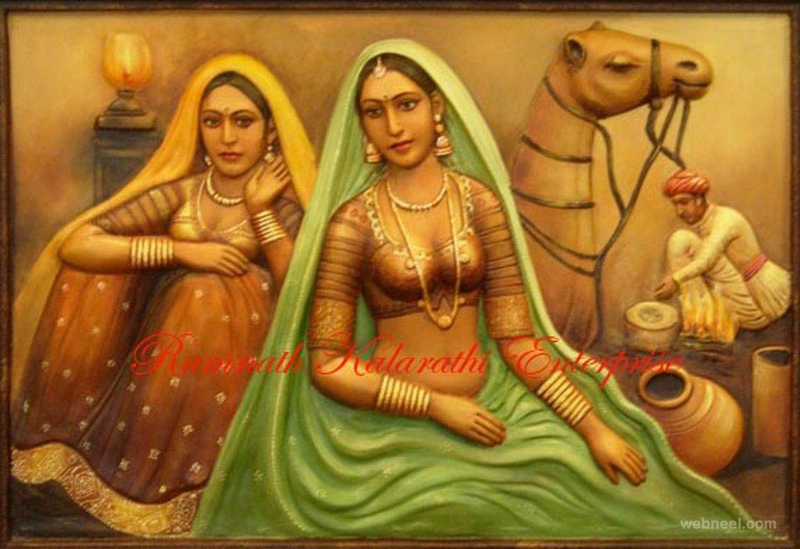 You can also see a simple life of the rajasthanis portrayed in these beautiful traditional Rajasthani paintings. 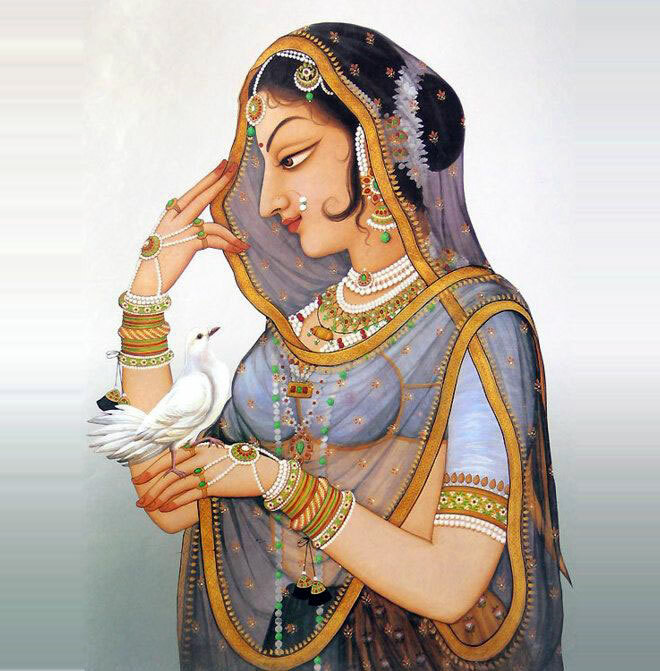 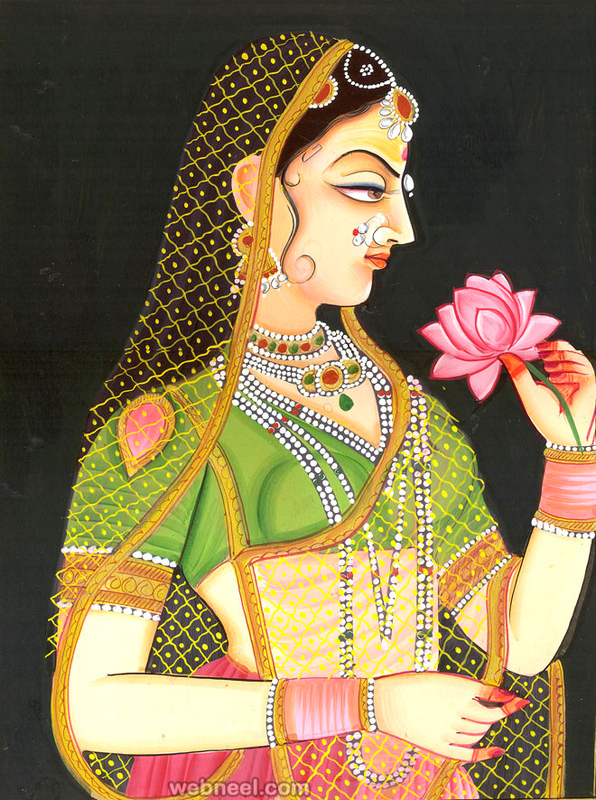 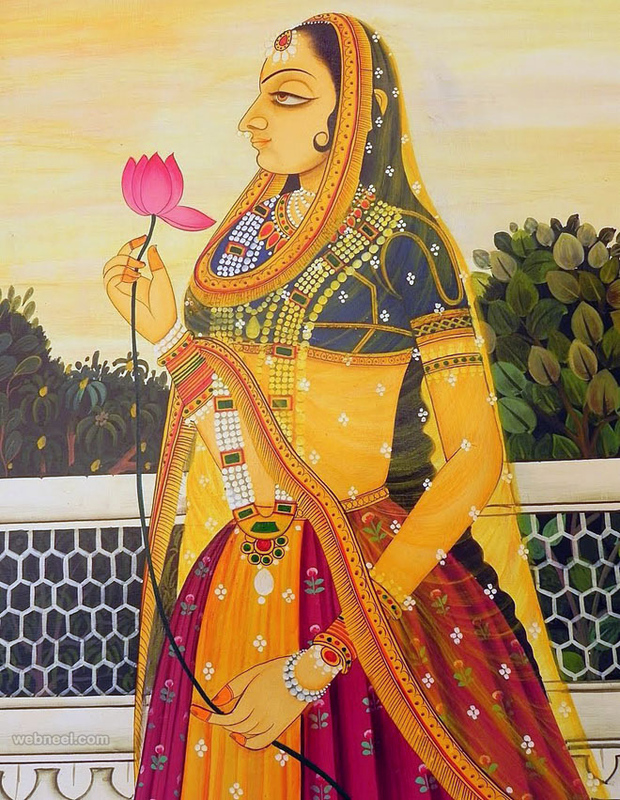 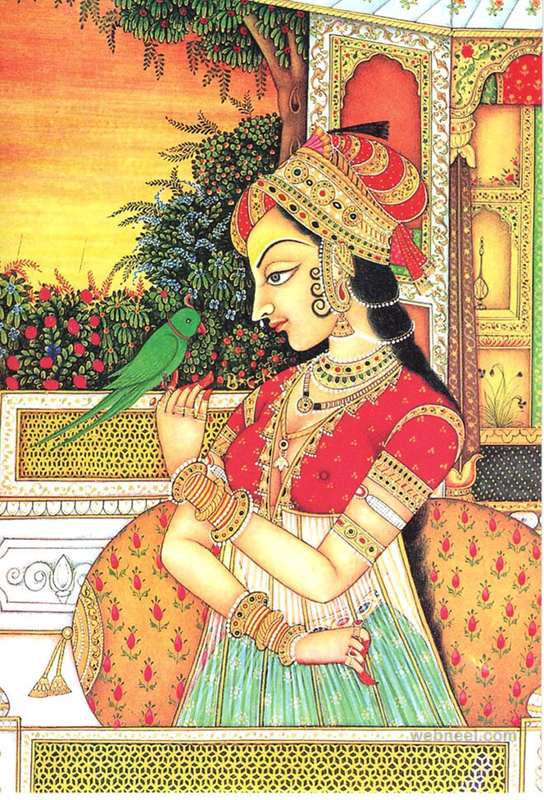 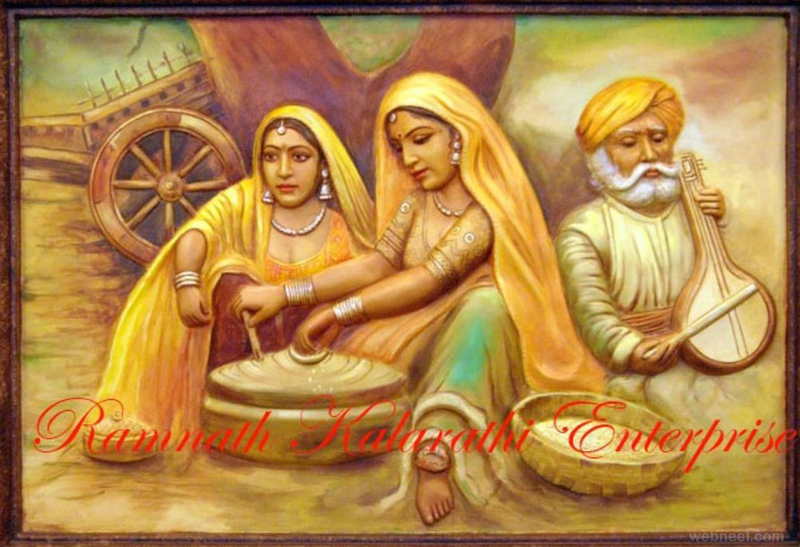 In this post we have included 25 Beautiful and Traditional Rajasthani paintings.